The SkinCeuticals moisturizer rage is carefully formulated with multi-functional cosmeceutical ingredients that deliver optimal hydration and skin nourishing benefits. Available as serums, creams, or facial masks, these powerful moisturizers are designed for all skin types to help prevent moisture loss, replenish skin, and enhance the appearance of skin smoothness. A face moisturizer is an essential step in every skincare regimen. In addition to preventing dryness and moisture loss in skin, a properly formulated moisturizer can deliver long-lasting hydration to help support skin's natural barrier for protection against external aggressors. It is also an important step in prepping skin for makeup application. What is the best face moisturizer? Formulated for all skin types, and available in the form of serums, creams, and facial masks, SkinCeuticals moisturizers are designed with proven, multi-functional ingredients to provide optimal skin hydration. However, when it comes to selecting the best face moisturizer, it is important to look for a formulation suitable to your individual skin needs. For the most customized recommendation, it is best to seek advice from a SkinCeuticals skincare professional. A good question to ask your skincare professional is how your moisturizer is formulated. Most moisturizers are formulated with ingredients that possess occlusive, humectant, or emollient properties. Occlusive agents help prevent moisture loss, humectants attract water to skin, and emollients help soften and smooth skin. Depending on your skin type, certain combinations of ingredients will be most beneficial. Which moisturizer is good for dry skin? Often characterized by tightness, dullness, and roughness, dry skin can be caused by several factors including genetics, lipid depletion, excessive sun exposure, harsh soaps, in-office procedures, and aging. When selecting the best moisturizer for dry skin, it is especially important to look for formulations that contain humectants such as glycerin to attract water to skin and occlusive oils to help lock in moisture. Ideal for dry and sensitive skin types, SkinCeuticals Emollience is formulated with a blend of algae extracts and nourishing botanical oils to help maintain daily moisture. Do you need to moisturize oily skin? Oily skin is often characterized by excess oil and the appearance of enlarged pores, which can contribute to blemishes. 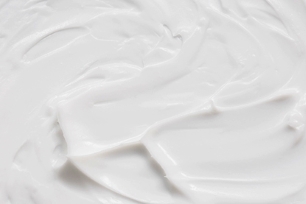 As a result, there is a common misconception that oily skin should not be moisturized. Though it may seem counterintuitive, oily skin types can actually benefit from the use of a face moisturizer. This is especially true if you are using exfoliating agents such as salicylic, glycolic, dioic, and citric acids, retinol creams, or face scrubs, which can strip skin of natural oils, causing it to overcompensate and produce even more oil. When shopping for a good moisturizer for oily skin, it is key to look for lightweight, non-comedogenic formulas that are free of oil, and that contain ingredients which can retain moisture levels in skin. One such ingredient is hyaluronic acid. Lauded as one of the most effective hydrating ingredients, this powerful molecule is capable of holding 1,000x its weight in water, making it an excellent moisturizer when applied topically. Formulated with a high concentration of hyaluronic acid, SkinCeuticals Hydrating B5 is an oil free moisturizer proven to deliver long-lasting hydration while restoring radiance for a smoother complexion. Which moisturizer is best for combination skin? Selecting the best moisturizer for combination skin can be challenging. If you have combination skin, you may notice dryness in some areas of your face, such as the cheeks, and oiliness in others, including the T-Zone (nose, forehead, and chin). The degree of oiliness and dryness can also vary depending on season and weather patterns. Heat and humidity	during the summer can increase the level of oiliness in the T-Zone requiring a more lightweight, oil free moisturizer. On the other hand, wind and cold air during the winter months may increase dryness and warrant a heavier formulation. As a result, there is no one-size-fits-all moisturizer for combination skin. This is especially true for those dealing with combination skin characterized by a significant difference between dry and oily zones. In this case, using two distinct moisturizers may be most efficacious. However, for the most-custom tailored recommendation, please consult	your skincare professional, who can work with you to determine the best approach for your individual skin needs.